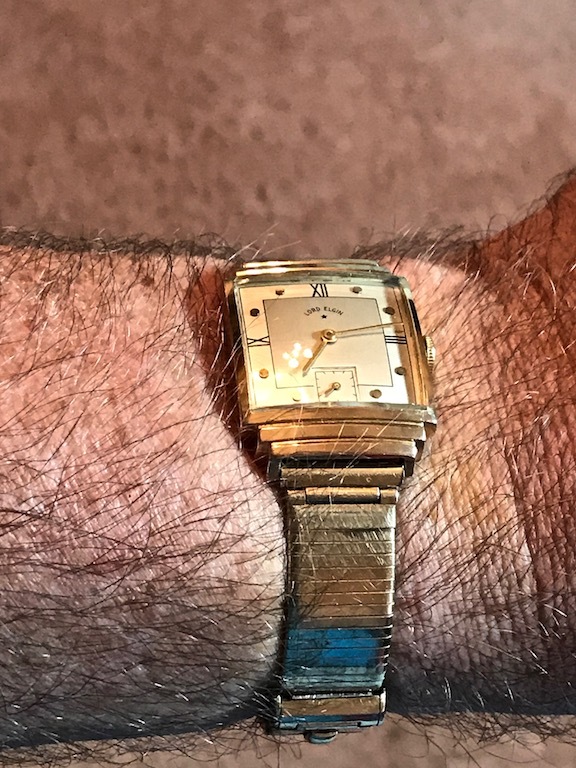 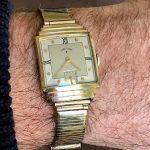 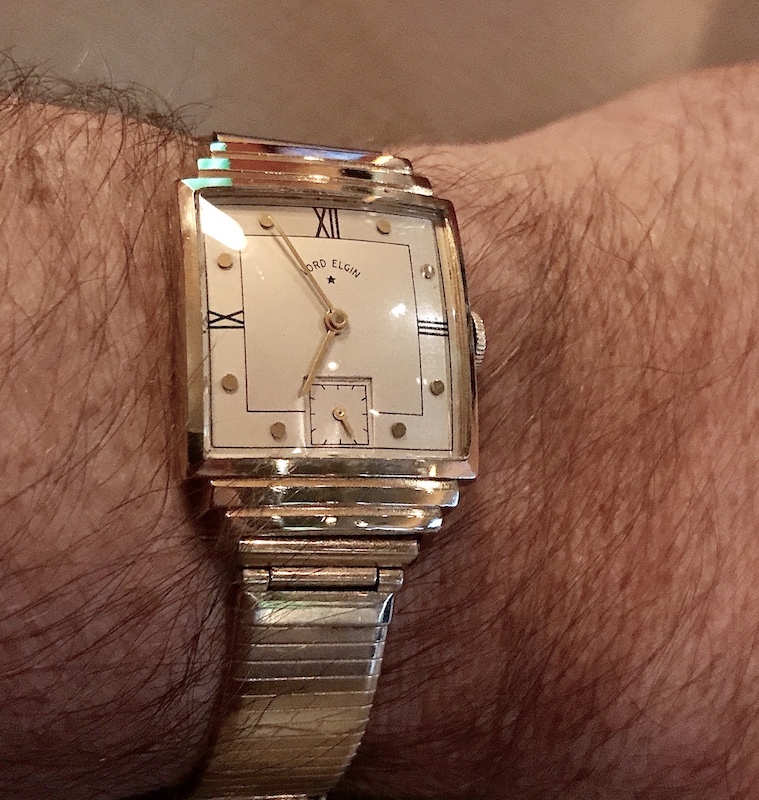 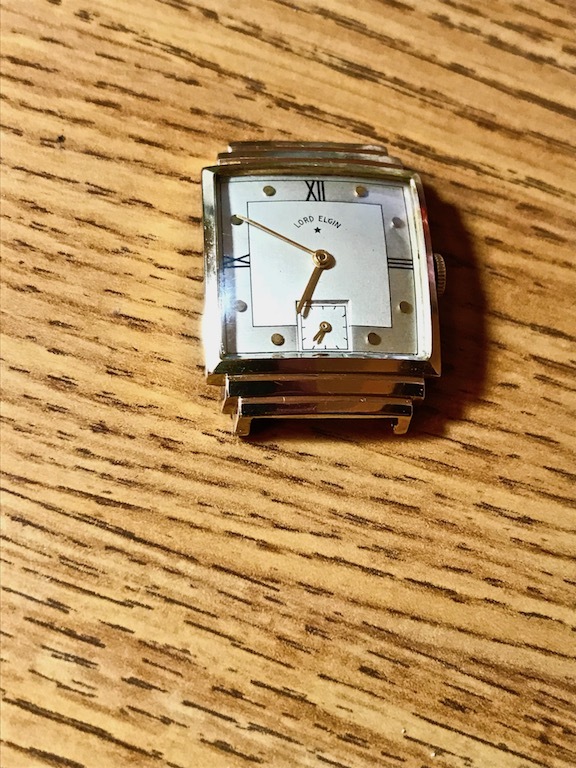 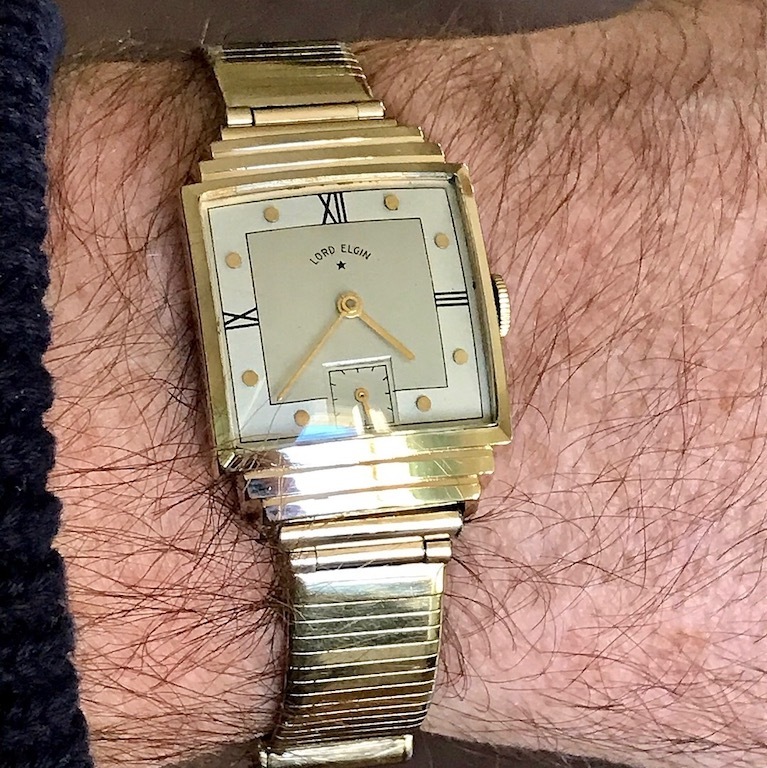 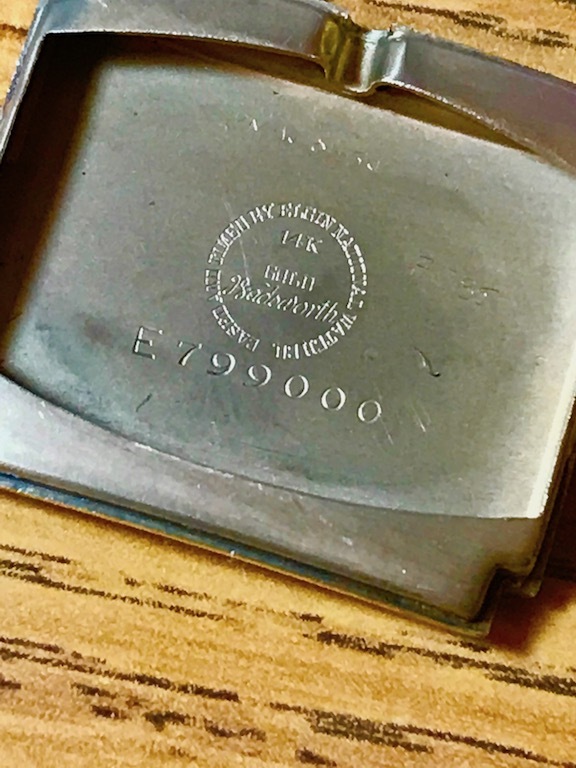 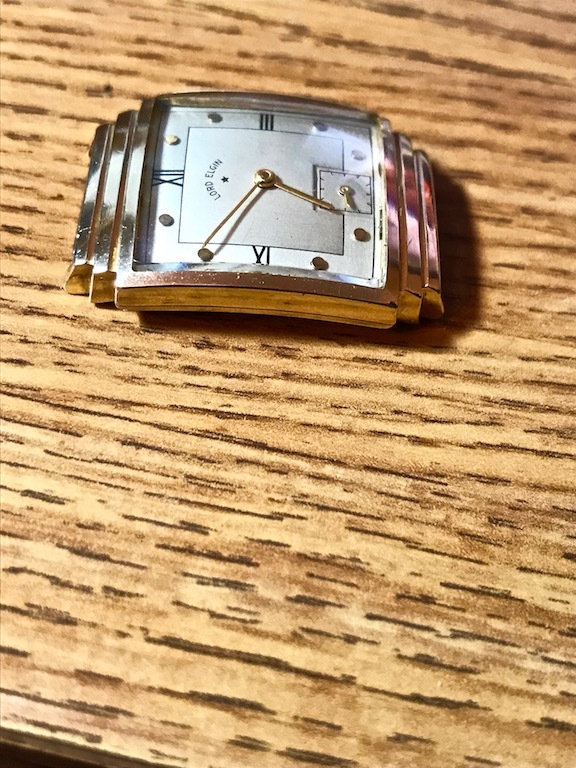 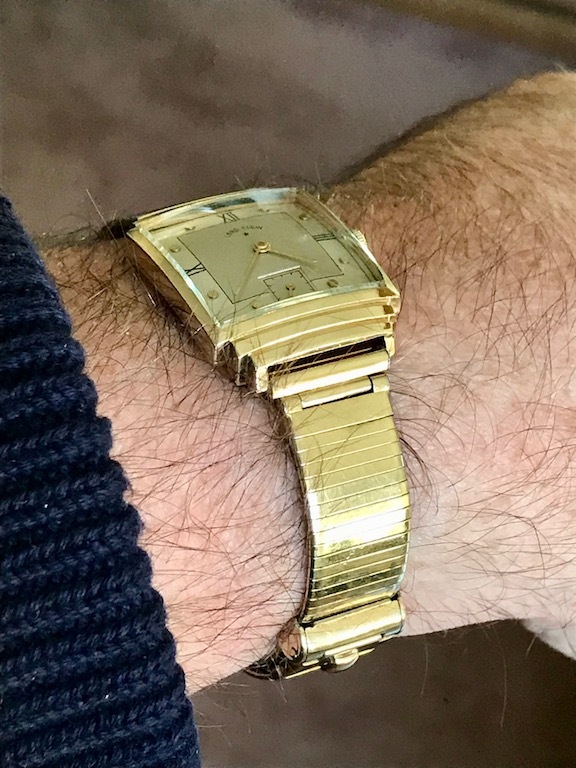 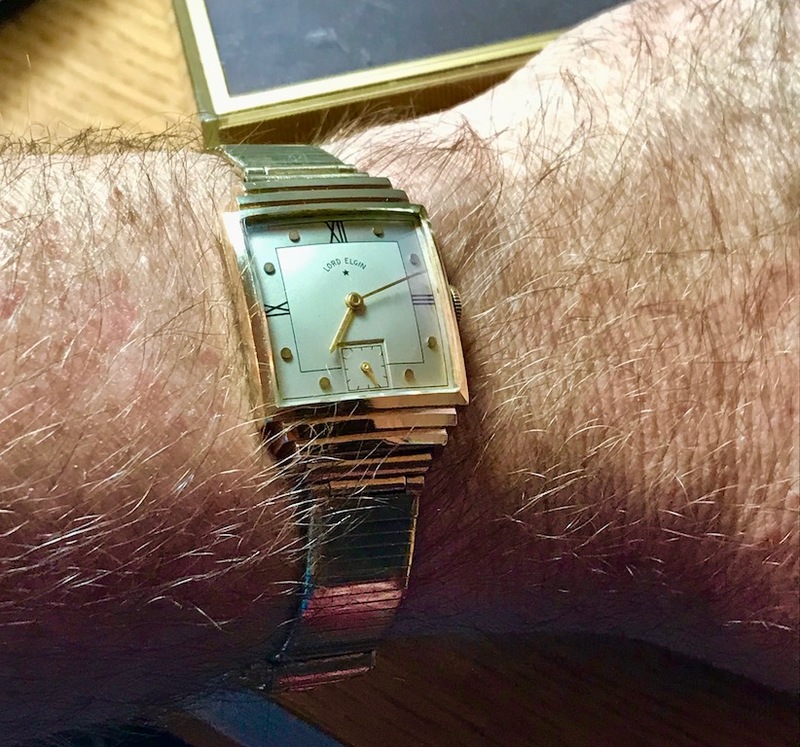 Lord Elgin 4505 | Grumpyguy Inc. 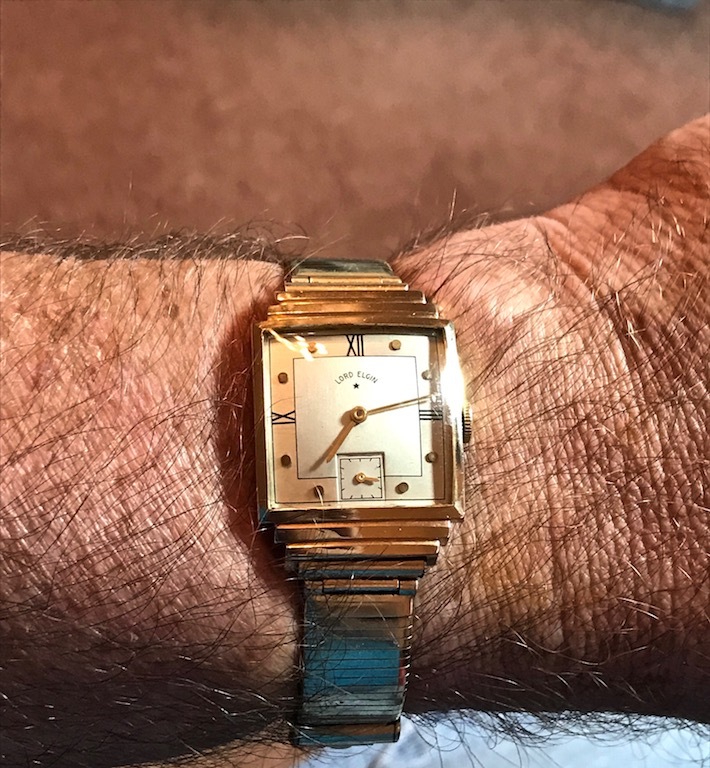 I just added a Lord Elgin 4505 to my collection. 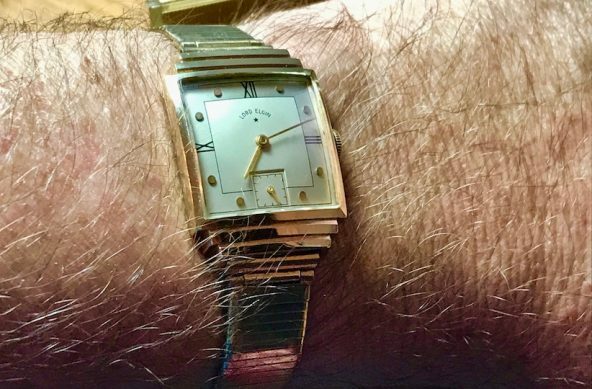 The case is solid 14k gold and according to the 1942 catalogue in which it appears, the hour markers are applied gold. 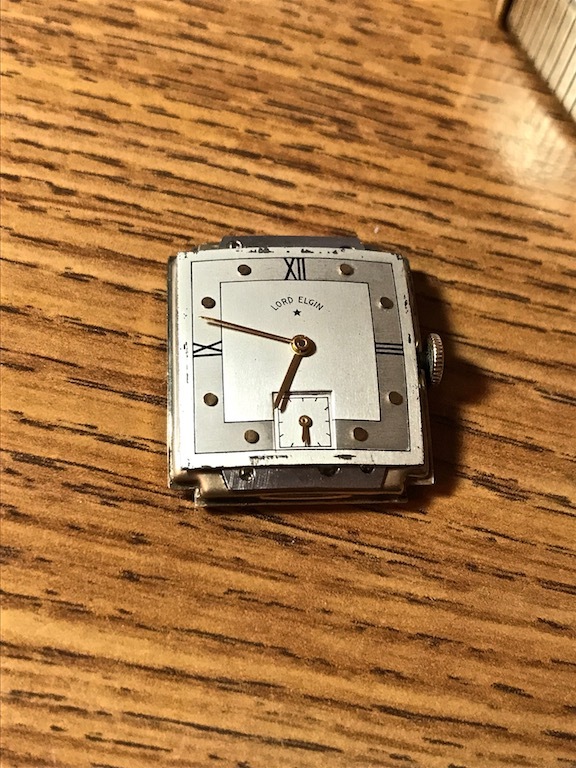 The watch uses the 21 jewel, 559 movement. 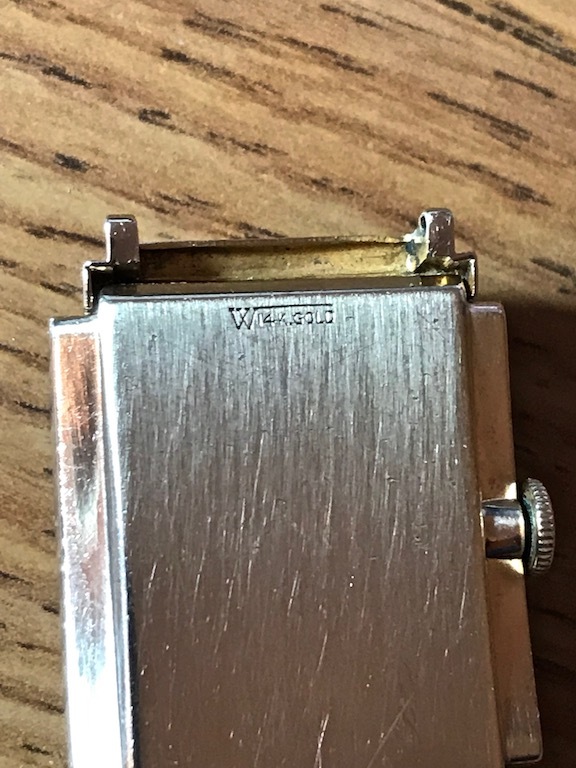 It measures 24mm across and 33mm lug to lug. 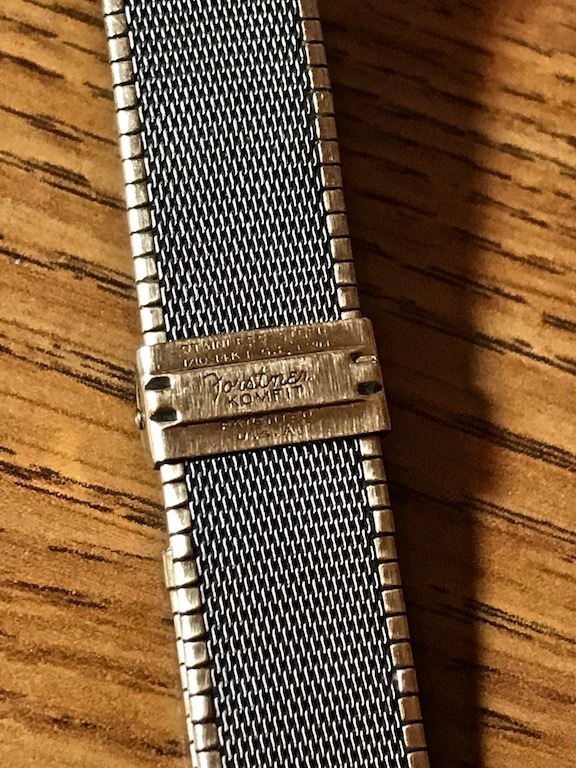 Despite the fairly large size for the time, it only takes a 15mm strap or bracelet. 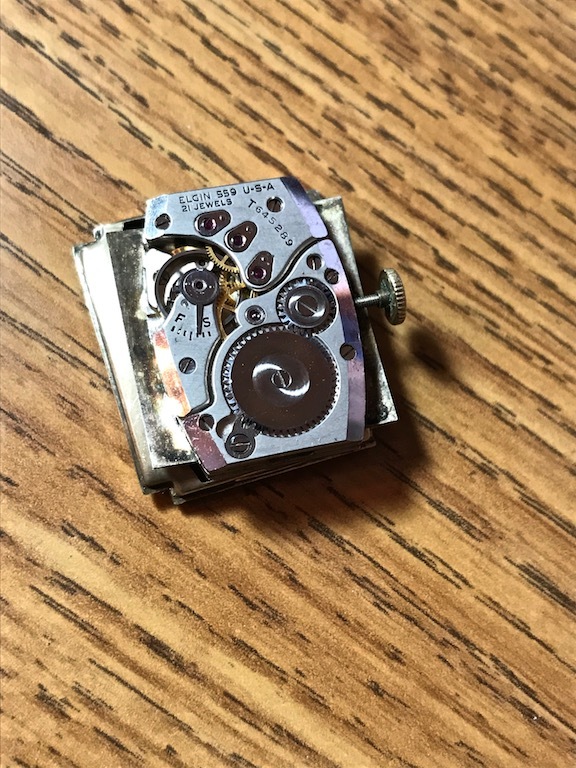 I ended up using a period Forstner bracelet, but even here, I had to grind the ends down to make it fit.